It's snowing gold! I have been wanting to see the "Light is Time" installation by Citizen (yes, the famous Japanese watchmaker) ever since early October, when I first saw the flyer. Finally experienced it on its opening night on Fri Nov 14, and it was so beautiful I went back again a few days later. 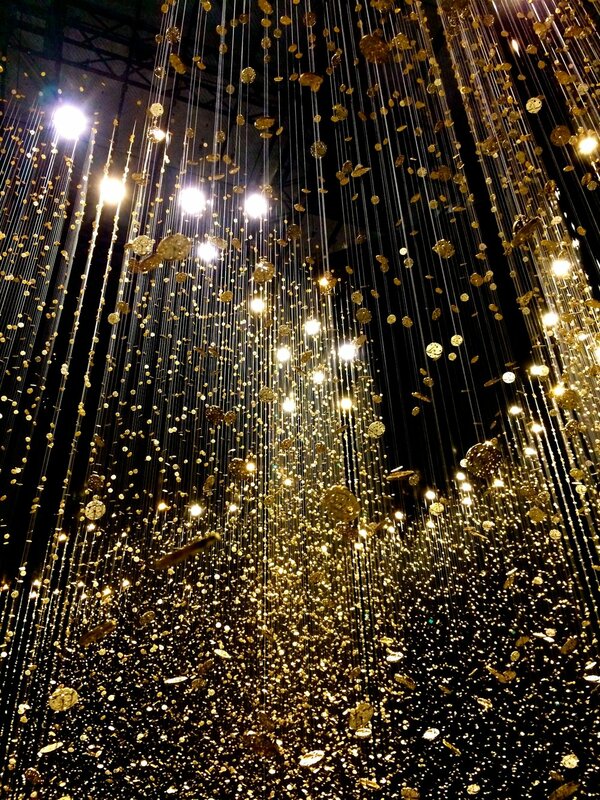 I used the word "experience" because that is exactly what it was--a spellbinding, awe-inspiring installation that was made out of 6,5000 watch movements! It first premiered in Milan for Tokyo Designers Week back in April, winning two awards for "Best Entertaining" and "Best Sound", and was recently recreated for the Spiral Building in Tokyo. By popular demanding the initial 10-day run was extended for an extra 4, until Fri Nov 28. It is unfortunately over now. However, it is a wonderful gift that remains with me, and has inspired me to work harder creatively.